We have finally gotten our snow! We’ve had so much fun playing in it, sledding, making snow angels & dragging my preschooler in out of the cold! 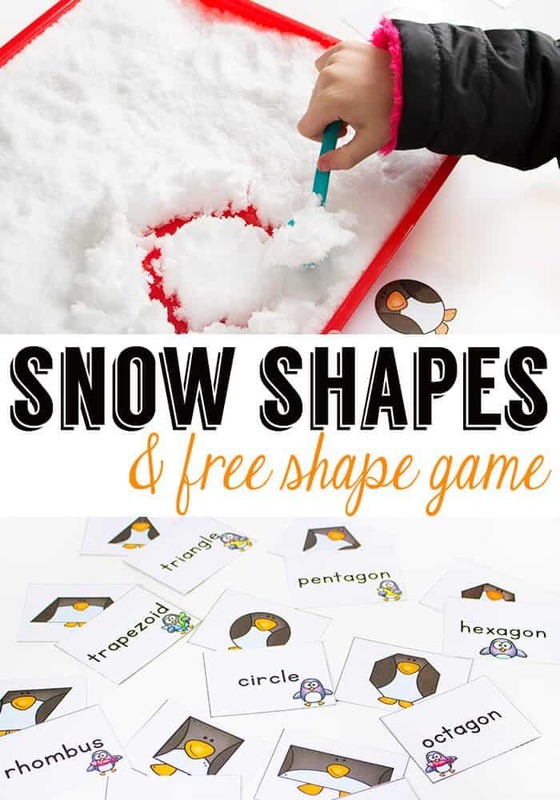 Today, we decided to Bring some snow inside for math time and build snow shapes with this fun free printable penguin shape game! My second grader loved it! She was actually asking to do it outside, but I was too chicken…lol! 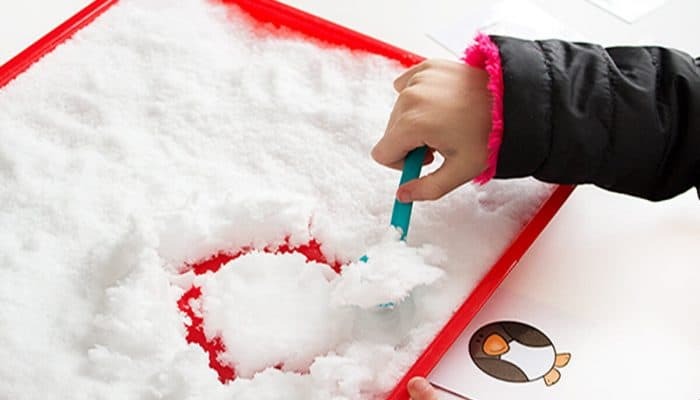 To prep: I sent my daughter out to the snow to fill up the tray. Our snow was packing snow which actually ended up being a bit difficult to work with, so if you can get it while it’s still light and fluffy that would be the best. 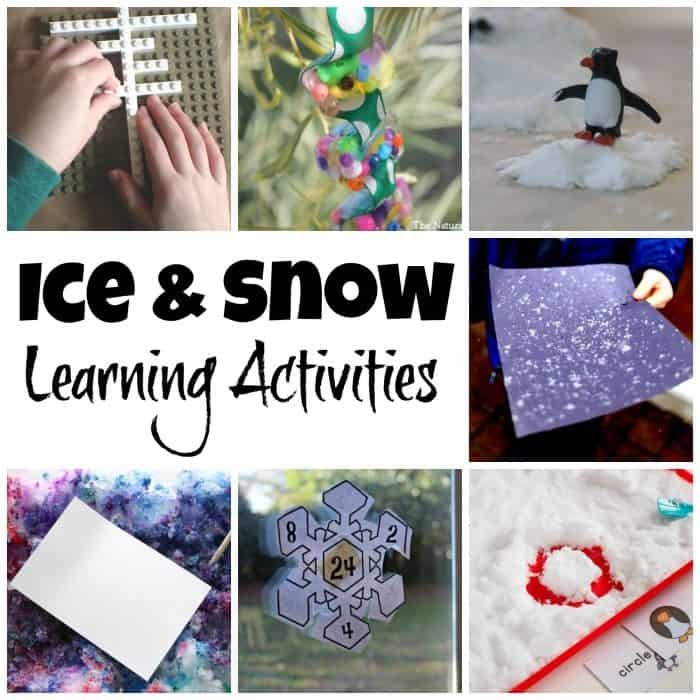 To play: We tried various methods to create the shapes. 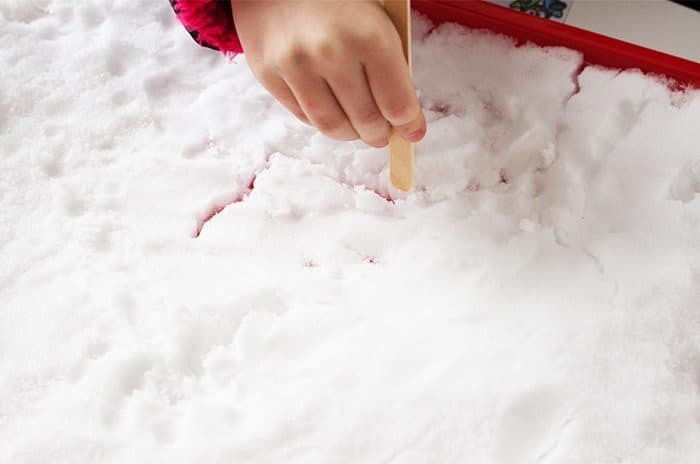 We started with a popsicle stick to trace the shapes into the snow. This was kind of a science experiment all by itself. Then we tried a small ice cream spoon that we had in our craft stash. That helped us make the shapes stand out a bit more. 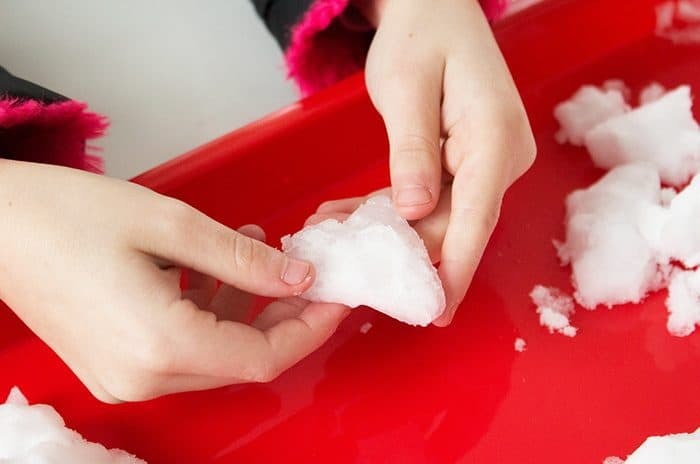 Then, when the snow got really stiff and sticky, we started using our hands. We found that if we made a “square” and tapped the edges lightly on the tray we could create the shapes that were on our cards. 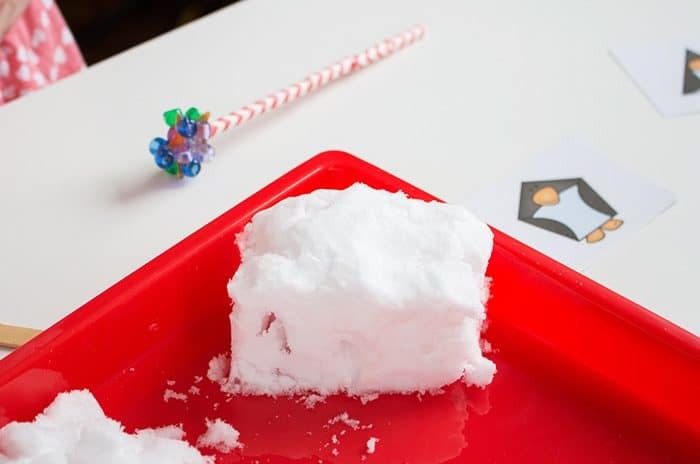 Big sister, got excited about the snow and decided to make a cube even though we were working on 2-dimensional shapes. 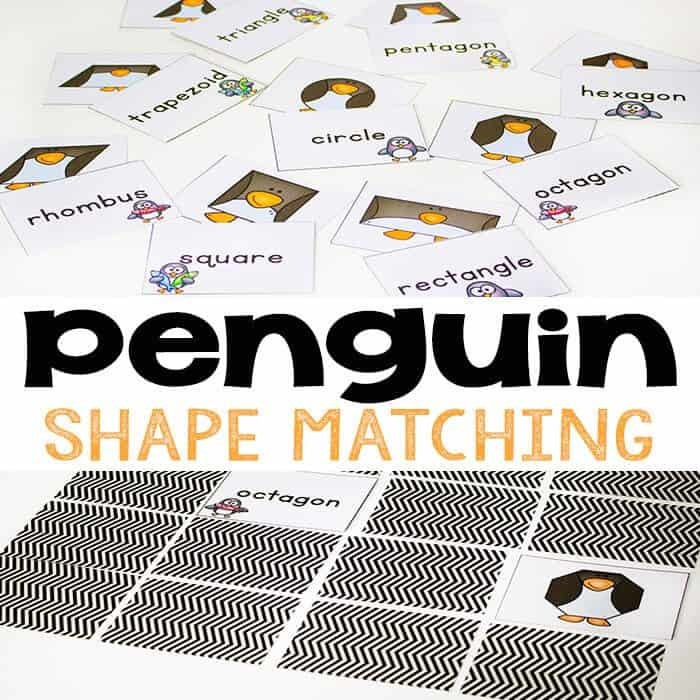 You can get the free printable penguin shape game that we used here. 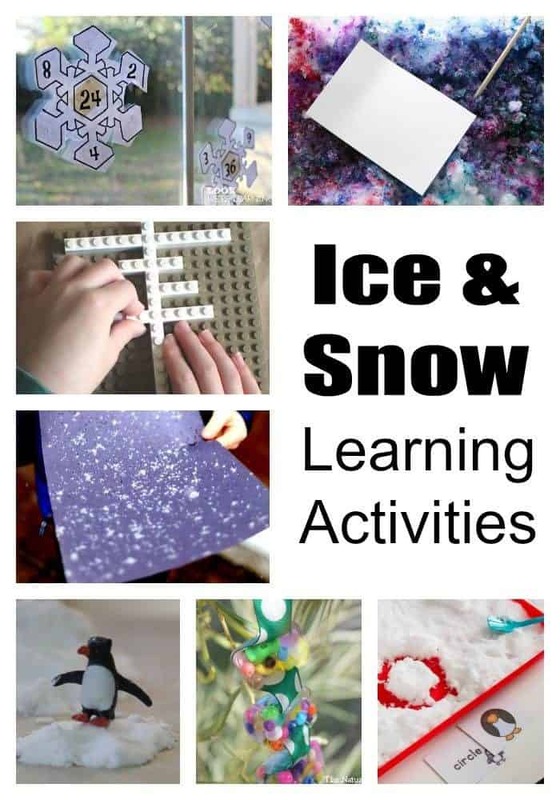 What a fun activity with penguins!